This full-size keyboard is fully portable so you can take it with you wherever you go. 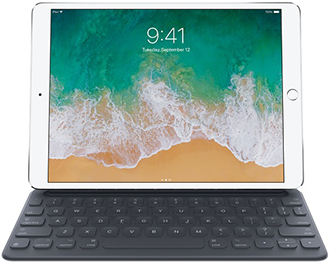 To get started, just attach the keyboard to your iPad Pro with the Smart Connector and start typing. 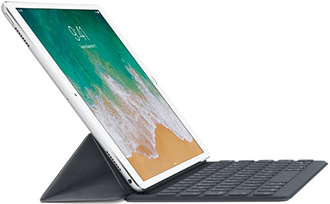 When you’re all finished typing, the keyboard folds to create a slim, lightweight cover for your iPad Pro.